Adam DeLadurantey is a Supervisory Special Agent for a United States Federal Government agency, located in Washington State. Adam has conducted forensic examinations and investigations throughout the world, to include Japan, Singapore, Korea, Guam and across the United States. Adam attended the 2006 BCFE conference, after achieving his CFCE in 2007, Adam served as a Peer Review coach from 2007-2009, CFCE Assessor from 2009-2011 and in 2011 assumed the role of CFCE Certification Chairman. 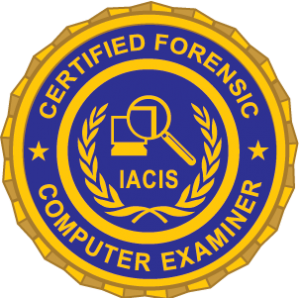 Adam has received training in numerous areas relating to computer forensics to include personal computers, cellular phones, Chip Off forensics, and data recovery from the International Association of Computer Investigative Specialists (IACIS®), Teel Tech, the National White Collar Crime Institute, the Department of Homeland Security, Guidance Software, AccessData, Black Bag, SANS, ISC2, Wireshark, and the Defense Computer Investigations Training Academy.